For a country of 1.3 billion people, the biggest resource is human resource. You have yourself acknowledged our human resource potential in Japan. However, successive governments have lacked the will, intent and vision as regards to the most important ministry that can decide the future of India – the human resource development ministry. 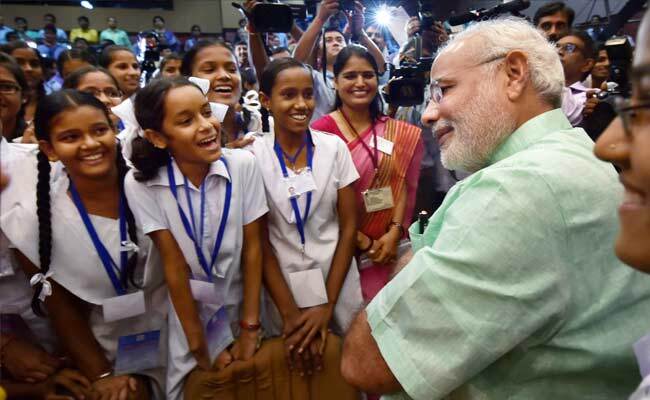 Barring empty slogans, there is zero initiative on how we can make India’s youth more productive. We are looking at our demographic dividend turning into a demographic nightmare if we don’t change our attitude towards the HRD ministry and education. The tragedy lies in how everything to do with education has been split and each ministry has taken a piece for itself to control, govern, eat, fleece and reap. The objective has never been to contribute and add value to the country. Multiple ministries have created their own territories and turfs from where they govern to destroy the objective and purpose of education. Here are a few examples just to illustrate a few of the many anomalies. Medical education is regulated by Medical Council of India (health ministry). Pharmacy education (similar to medical education) is regulated by Pharmacy Council of India (health ministry). Legal education is regulated by Bar Council of India (law ministry). The various ITIs are under the ministry of labour and employment. National Skill Development Council is under the newly formed skill development ministry. Various states have also enacted acts giving birth to many state universities and state private universities. Just between Karnataka and Rajasthan, 46 universities were approved in the last 10 years. Many ministries (science & technology, food processing etc) have floated their own universities and control them.And then you have the HRD ministry, which has multiple regulators, fighting a bitter turf war for control but never taking responsibility to act with alacrity when students suffer.Corruption and red tapeAs you know, universities are established under an act of Parliament, state or provincial legislatures and, according to The University Grants Commission Act, 1956, all the institutions are allowed to offer a degree only when approved by the UGC. But a university even if approved by UGC cannot offer a professional course unless approved by one of the regulators above (technical education is exempt from such approval due a court judgment). These innumerable regulators and multiplicity of control have created corruption and red tape of alarming proportions. Entrepreneurs are held to ransom at every stage. Many approvals are granted for just a year to ensure control (and collection). It is ridiculous because a student joins a college for three to four years while the approvals are for each year. All this while our curriculum and pedagogy has remained where it was for many decades. Our education is neither modern nor is it receptive to the current day needs. For example, the Bar Council of India last revised its curriculum many years back, despite change in modem day needs of litigants and our Justice system is the biggest casualty. So is healthcare and many other domains that suffer because we produce untrained students, whose ethics are put to test while they were students as many of them have to rely on recommendations, donations and loans. The scenario is similar in most other professional councils. Sir, I write this letter with a lot of hope. You have the mandate, influence, power and the will to change all this and leave a lasting imprint on education and to ensure that the youth of this country are not left at the mercy of multiple regulators. Sir, when army, airforce and navy can report to one defence ministry, I fail to understand why multiple ministries are controlling education. It has now become a territorial war and conflict for turf. And education is one of the most litigated domains in the country. To give you an example, the Deemed University case has been going in the Supreme Court for the last eight years with little to show for the effort. This is also leading to the best-intentioned entrepreneurs selling out and those who can “manage” this conflict to enter education. The cost of education is increasing dramatically because of corruption and red tape. Sir, please bring the entire education system under the umbrella of one ministry. Appoint a person who understands the complications and complexities of our education system to head the ministry. Unfortunately, the current incumbent is least qualified, though well-intentioned. Let health, law, technical education, agriculture and vocational education etc. be departments within the HRD ministry. Let professional councils set the standards and test the students at the graduating stage, the way it is done globally. Sir, it is an opportunity to radically transform education and impact youth. It is an opportunity to impact our future. It is time we show the right direction to our youth, the future of this country. Let us make good citizens through this ‘Make in India’ opportunity. It is there for the asking. Either you seize it or fail us. The choice is yours.